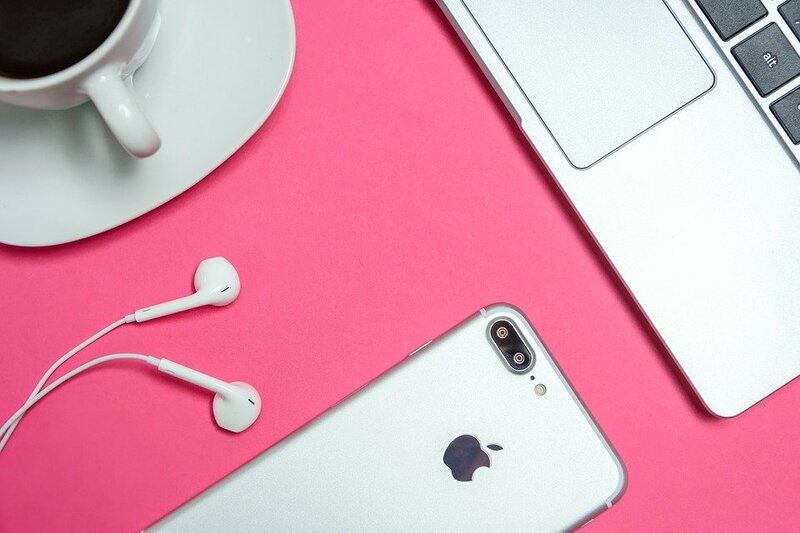 If you use an effective customer relationship management software (CRM) to its full potential, you are virtually guaranteed to close more deals. The key is to identify what features of a CRM match the needs of your sales team and gain their buy-in by asking three simple questions. What are you spending most of your time doing? Chances are they’re spending more time writing emails, looking through notes, booking their calendars, and trying to figure out spreadsheets than they are actually selling. What tasks do you least enjoy doing? The answer will very likely be the same as above - all those tedious but necessary tasks that take up maximum time with minimal rewards. If your sales team isn’t already using a CRM software, there’s a good chance that their leads are either scribbled across the pages of several worn out notebooks or kept in a cluttered and less than user-friendly spreadsheet. The very first benefit you’ll receive from a CRM is a better way to manage leads. The HubSpot CRM, for example, provides an integrated database to store and manage all of your contacts. 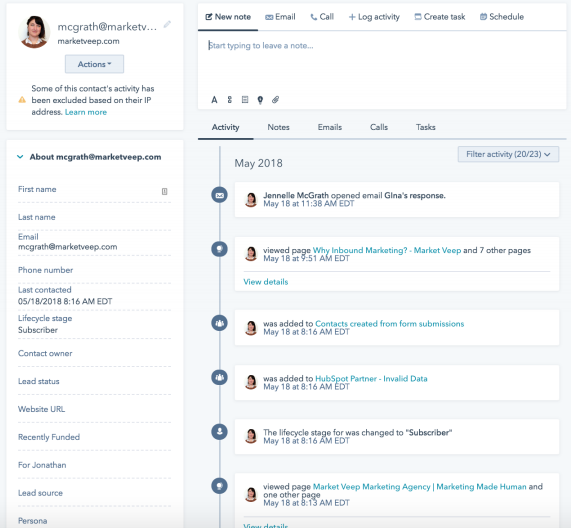 The contact records automatically populate with user activity as the HubSpot tracking code monitors their behavior, giving your sales and marketing teams valuable insight into the buyer’s journey. 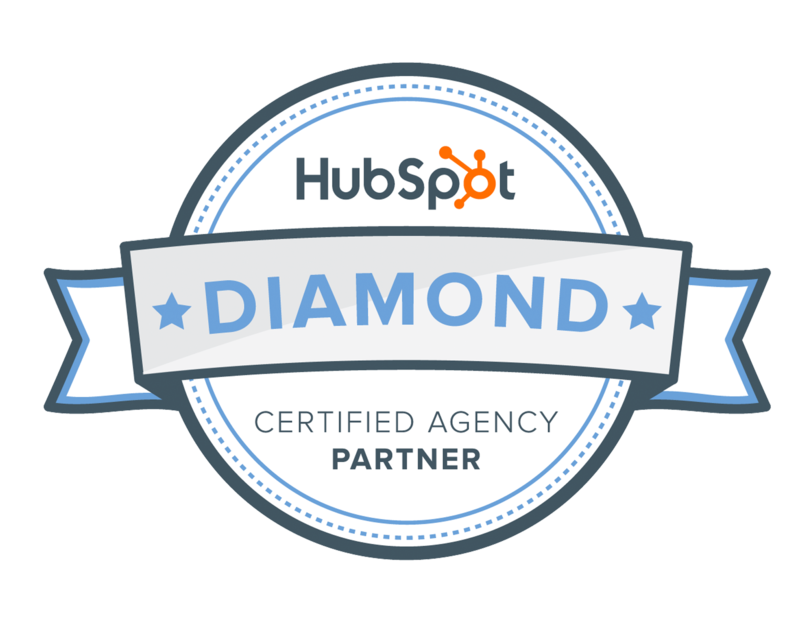 Some of the activities that can be tracked through the HubSpot CRM include page views, social media interactions, email clicks, and opens, and form submissions. The primary contact properties can be customized so your sales team will be able to open a contact record and find exactly what they need to know without digging through multiple spreadsheets or programs. 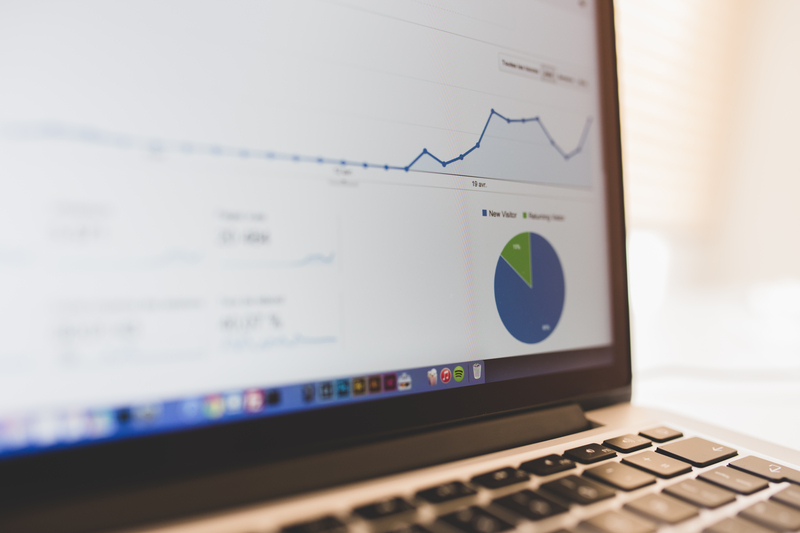 Page Views: Certain page views, such as Pricing or Services pages, may be indicators of legitimate interest in your business. Additionally, multiple page views or frequent website visits may also be a sign that the prospect is looking for more information. Content Engagement: A prospect that downloads multiple content offers or frequently opens and clicks newsletter emails may be a warm lead for your sales team to follow up with and further nurture. Form Submissions: Whenever a contact submits a form, their field submissions will show up on their contact record. This makes it easy for your sales team to quickly assess the prospect’s activity and form properties in order to more directly address their needs. You can get even more out of your HubSpot CRM with the lead scoring tool. It allows you to assign a value to a particular behavior or activity in order to automatically segment and prioritize leads. 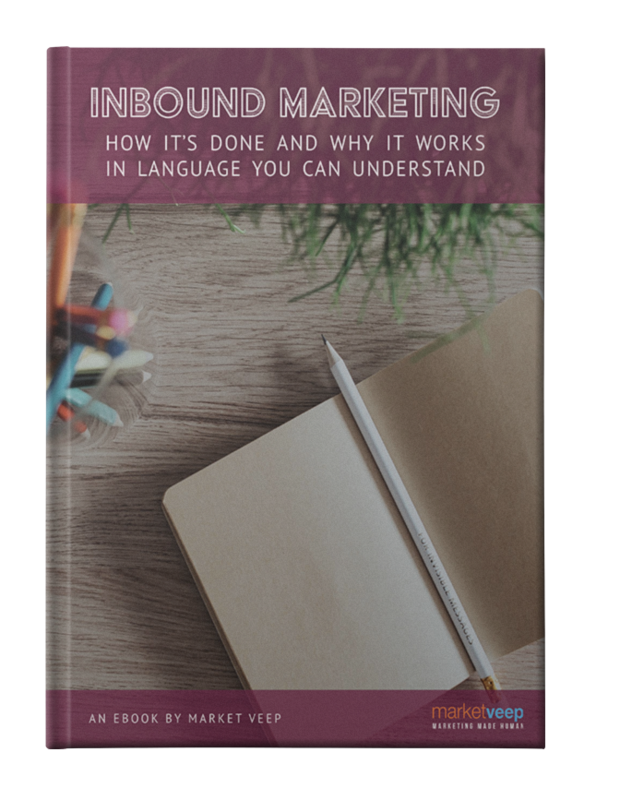 This takes the guesswork out of which leads should be contacted right away and those that need a bit more nurturing before being contacted by a sales rep. Custom deal stages can be added or removed to fit your specific needs. You can also create multiple sales pipelines with their own unique deal stages. Not to mention you can mandate fields that must be entered before moving onto the next deal stage. Some common examples include: proposal sent date, estimated amount to close, date expected to close, next steps and so many more! Deal Forecast: This report shows the amount of revenue for deals in each stage of your deal pipeline and calculates the forecasted revenue by multiplying the deal amounts by deal stage probability. Close Rate: This can be calculated for the company overall or by the individual salesperson. It can also be set up to show the close rate for a specific type of lead, such as those from a certain channel or belonging to a particular persona. Deal Revenue Leaderboard: This report helps show which team members are driving the most closed revenue as well as where other projected revenue that is still in other deal stages. Deals Closed vs. Goal: This report shows how close you are on track to hitting your monthly, quarterly or annual goals. Set company, team or individual goals. Time in Deal Stage: If you are curious about where deals get stuck in the pipeline or why some move faster than others use this report to take a deeper dive into the analytics. Deal Forecast by Owner: We commonly use this in two ways with sales teams; set the report to show a total number of deals by owner/ stage or use it show actual revenue by owner/stage. Both give valuable insights into the volume and size of deals. Productivity Leaderboard: Get deeper insights into daily activity that closes deals. Use this report to analyze what it takes to close deals; emails, meetings, calls etc. By using this report you can see what your best performing sales people actively do in order to close those deals! Use these metrics to roll out best practices to your other salespeople. These reports can be customized to the needs of your business and will help you to identify gaps and opportunities within your pipeline. For example, if you know you have a lower close rate with a particular type of lead, you can adjust accordingly to achieve better results. With a CRM, any information relating to a particular deal can be stored in one place and easily updated, saving your sales team valuable time. Even the least technology savvy sales teams are comfortable with using email. Utilizing a CRM integration with your email can be a great way to get your sales team comfortable with the software with minimal disruption. It also makes updating your CRM a dynamic and seamless process with few additional steps. 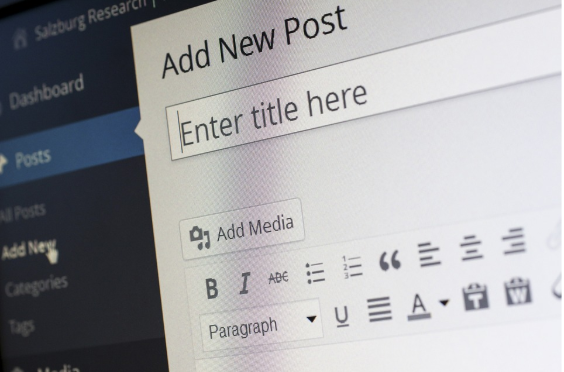 Here are two of our favorite features of HubSpot’s email integration. Email communications sent from the connected email account will automatically show up on the contact’s timeline. This makes it easier to figure out when you contacted a lead, where your conversation left off, and if/when you should follow up with them. No more searching through your sent folder or trying to find your written notes - everything you need is right in their contact record. Notifications can be set up to alert your sales team when a prospect interacts with an email they sent. These notifications can include when an email is received when an email is opened, the location of the recipient when they opened the email, and if the recipient clicks a link in the email. If a lead has not replied to a contract proposal but has opened the email multiple times, it may be worthwhile to reach out to help them make a decision. If a lead has not opened your contract proposal at all, you may want to call them directly to make sure they did not miss your message. 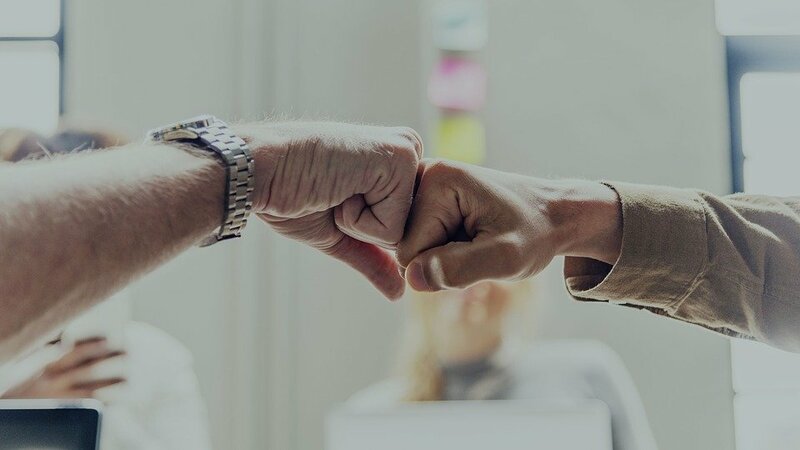 These are just two examples of the many ways that email tracking can help you close more deals by being in tune with the behavior of your leads. Forget the back and forth of trying to find a time that works for everyone. 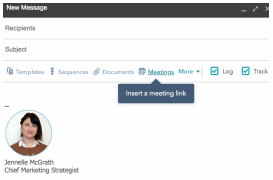 Instead, share a meeting link that allows recipients to select from available time slots. You can customize your availability, offer multiple meeting length options, and customize the information gathered in the booking form. You can also set up automatic email reminders to confirm meetings with prospects without having to type a single word. This feature is called Send Later in the HubSpot CRM and it allows you to draft an email response to a prospect to be sent at a later date and/or time. 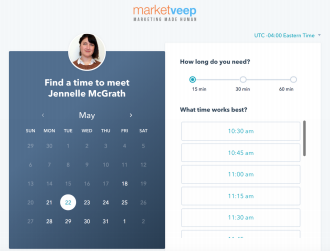 Using machine learning, there is even an option to allow HubSpot to automatically select the best time to schedule the email based on the recipient’s engagement history and contact properties. Once scheduled, the email will be tracked within the contact’s timeline for easy reference. These workflows are relatively simple to set up, will save you an enormous amount of time, and nearly eliminate the element of human error from updating information on your contact records. 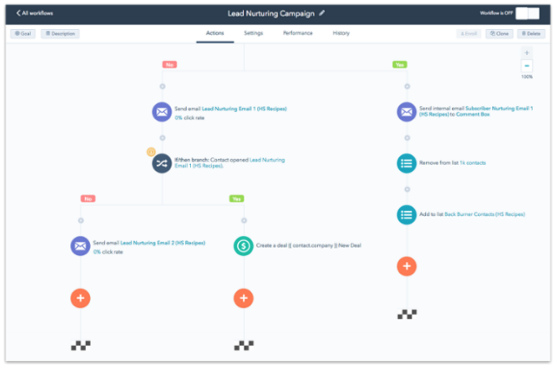 Lead Rotation: Automatically assign new leads to sales reps instead of manually determining who will own each new lead. They will be notified about the lead as soon as it comes in so there is no confusion or delay in responding. Task Assignments: Automatically assign tasks and set reminders for your sales team to make sure nothing falls through the cracks. If your process requires you to follow up with a lead two days after a contract is sent, this workflow can automatically create a task for the sales rep once a contract is sent that reminds the rep to follow up after two days. It can be further customized as to assign different tasks using if/then branches that allow it to be responsive to the dynamic nature of the sales process. Workflows are highly customizable and offer limitless possibilities to automate the most time-consuming manual tasks so you have more time for nurturing and closing leads. A sequence is a series of pre-written emails that automate your lead nurturing process. There’s a good chance that many of your conversations with new leads are similar iterations of the same questions and value propositions. Rather than manually typing out a new email each time you receive a lead, you can utilize sequencing to send a series of perfectly timed and personalized emails that will qualify leads ahead of time. Pre-Call Sequences: These emails allow you to introduce your company to new leads that haven’t yet spoken directly with you. Long-Term Nurturing Sequences: These emails are mapped out ahead of time to account for a nurturing period that may last weeks or even months. Referral Introduction Sequences: These emails help you capitalize on referrals in a way that is concise and strategic. Using a CRM is all about helping your sales team build and manage their relationships with prospects in order to close deals faster. Encourage your sales team to think of it less as learning a new way of doing things and more as doing more of the things they love to do and less of the things they don’t. In the end, any tool that helps your sales team sell faster and better will ultimately make them happier and more efficient.